Is BT abusing its dominant position? Ofcom has responded to calls from TalkTalk founder Sir Charles Dunstone to investigate BT's increasing dominance of the UK's super-fast broadband market. The government regulator has announced it will launch an official inestigation to ensure BT has not "abused a dominant position under UK and/or EU competition law." TalkTalk says BT is charging third party ISPs too much for access to its extensive, and partly government, funded, fibre-optic broadband network, which BT is investing £2.5bn on building. Dunstone had claimed BT is rebuilding the monopoly it previously held in the 80s, while BT called TalkTalk "copper luddites" who're seeking to hold back the UK economy by opposing the fibre plans. TalkTalk has complained to Ofcom that it, and other ISPs aren't getting a fair deal as "BT has failed to maintain a sufficient margin between its upstream costs and downstream prices, thereby operating an abusive margin squeeze." The government regulator will now request that BT opens its books and will spend the next few months, before deciding whether the company has a case to answer. A spokesman for TalkTalk said: "We have long maintained that there needs to be tighter regulation in superfast broadband to ensure a level playing field and therefore deliver real benefits for consumers and businesses. We are pleased that Ofcom is taking this matter seriously and have decided there is reasonable suspicion to investigate BT's fibre pricing." BT said it was 'disappointed' by Ofcom's decision to open an investigation 'without any evidence'. A spokesperson said: "We are confident there is no case to answer. 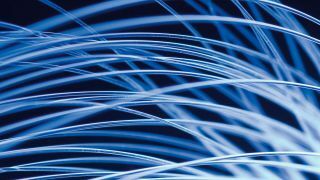 It would be better if the industry's, and Ofcom's, focus was on investing in the future of the country rather than on spurious actions designed to hold up fibre in the UK."